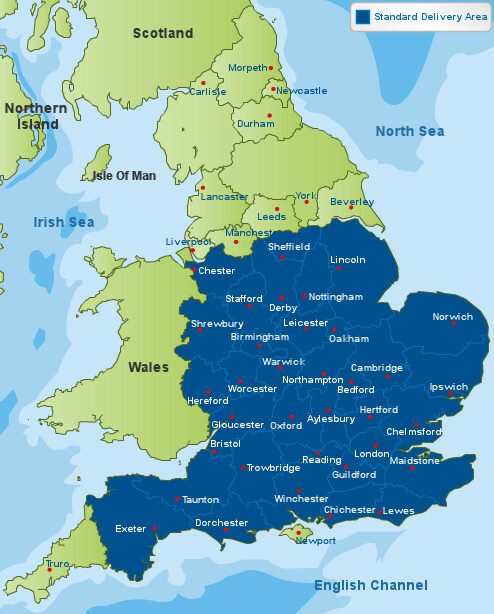 We deliver right across mainland UK up as far as Manchester and into Wales, using a fleet of our own delivery vehicles and drivers. 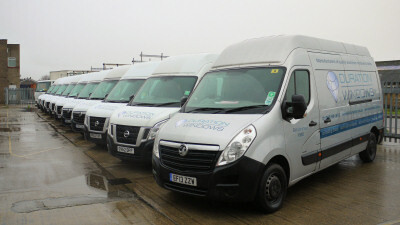 Delivery to anywhere within our standard delivery area is just £30 + VAT and our vehicles go out daily. By handling our deliveries "in-house" we are able to ensure that your order arrives on time and in perfect condition. All of our vehicles carry the latest GPS navigation systems and all of our drivers can be contacted by mobile phone. Our vehicles are also fitted with satellite tracking systems, so that we know where our delivery vehicles are and can follow their journey 24/7. We can deliver straight to your door or we can deliver directly to site. Delivery to anywhere within our standard delivery area is normally only £30 + VAT per delivery, however large your order. If you are outside of our standard delivery area, contact us for a quote. We aim to deliver any order in a stock colour within 2-3 weeks. Products ordered in special RAL colour finishes or products that include integrated binds will always take longer. Due to the bespoke and specialist nature of these products you should expect your lead time to be around 6-8 weeks. Please check with our Sales Dept. for current lead times. For customers who need their order extra quick we offer our Fast Track Ordering service.